Throughout the course of my novel, it becomes clear that there are a certain number of characters that can be regarded as outright villains. Two obvious examples of such creatures are Duffy and Thicke. At the same time, there are a handful who rise to the position of hero, Gina and Toby, for instance. Far more interesting to write, however, are the characters that occupy a certain grey area. Those figures whose motives are not immediately discernible. Two such creations for me were Francis Tumblety and Walter Sickert, however, the latter of these two almost made it into the book purely by accident. I thought it was best that Sickert be left to rest in his grave for a few decades more before another writer came along and caused him to turn within it. 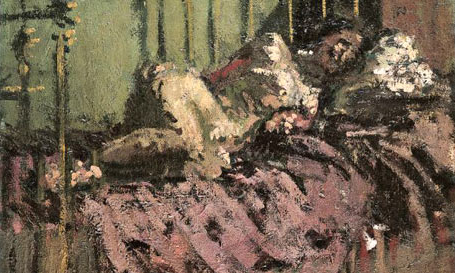 Sickert certainly qualified as an intriguing character though. Despite being born in Germany, he went on to become one of the most important figures in the British art movement of the early 20th century. Along with the group he helped form, The Camden Town Group, he and his contemporaries not only established an art style that would forever be recognisable as part of the post-impressionist wave of painters of that era, but their works would prove to be an invaluable resources for historians researching pre-WWI London. Still in the initial stages of my plotting, I had been having a particularly difficult time determining the story arc for Gina, once the initial surprise of her identity had been exposed and thought that one route that may prove to be fruitful, would be to give her a love interest, with some important qualifications. The first such qualification was that this man would be significantly older than she was. I really hoped that by offering the fifteen year old Gina a gentleman considerably senior to her would give their union the necessary queasy inappropriateness that I was looking for - I really didn't want the reader to be rooting for their love to blossom. There had to be an obstacle. What if he was married? What if he was of a higher class than she was? Perhaps he lived outside of Whitechapel and was away for long periods of time, only to reappear at some inopportune time? Perhaps he was a revolutionary, venturing to the East End as part of a anthropological study into the working class. What if he was an artist, documenting the people of the district in paint? 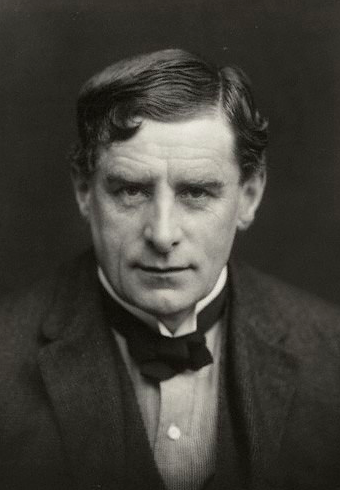 It suddenly dawned upon me that I had in fact, just created Walter Sickert. The realisation was an irritant. I was irked because I had inadvertently gone against my own intentions but at the same time, the fit was so perfect that it was impossible to decline. Poor Walter was going to have his corpse dragged across the coals once again. Moreover, there is a certain peculiarity to his work. 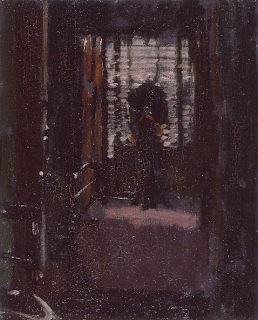 There is a grittiness, a dirty, damp and nauseous atmosphere in all of his art. 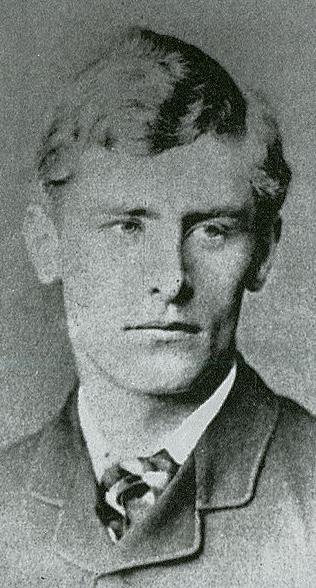 There was a level of intrigue in this gentleman, this dapper, creative, irresistibly handsome man who could mix with high society and the lowly poor on equal terms in an affable, friendly fashion and then go on to paint them as hideous, deformed echoes of themselves. Then of course, there are his nudes. If one wants to find evidence for Sickert as the Ripper, one really doesn't have look much farther. It has long been noted just what a striking similarity there is between his paintings of naked women and some of the crime scene photographs taken at the time, (photographs which were not released by the police until some time after his death) most notably that of Mary Kelly. "What Shall We Do to Pay the Rent?" 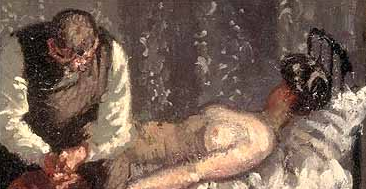 or "The Camden Town Murder"
If you look for clues in his paintings, you are likely to find them them in abundance, after all, art is such a subjective form that it's nearly impossible to separate personal experience from the piece itself. The closer you look, the more you are seeing what you want to see. In conclusion, I ended up feeling really happy that Sickert came along to join my merry band of misfits. He fitted in so seamlessly that I now find it hard to imagine the book without him in it. He is at once beguiling, then repellent. Agreeable, then sinister. In short, everything a good Jack the Ripper suspect needs to be.